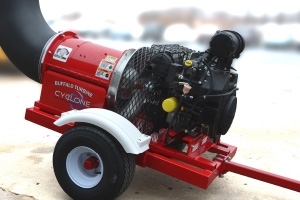 The Buffalo Turbine Tow-Behind Debris blowers are the “work horses” of the debris blower industry. 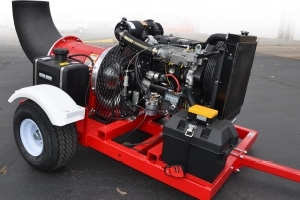 All of the tow-behind units are self-contained systems that only require fuel (gas or diesel) for full operation. 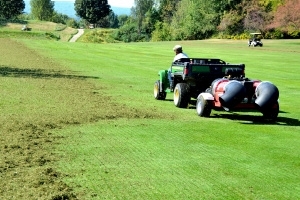 The tow-behind units all have bolt-on trailer packages that can be easily removed for the ability to skid-mount the machine. 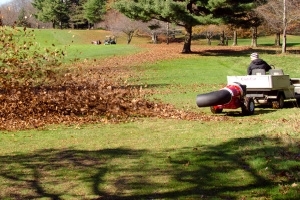 Make quick work of any debris problem with our complete line of tow-behind debris blowers. 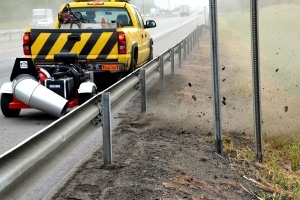 Utilizing a pin-hitch assembly, the tow-behind systems allow the operator increased versatility to attach to many different vehicle/machine types. 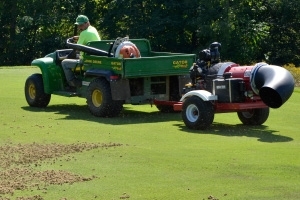 Another aspect of versatility is the option to remove the bolt-on trailer assembly and mount the systems in the bed of a UTV, Gator or pick-up truck. Tow-behind systems are available in different horsepower ratings as well as gasoline and diesel options.